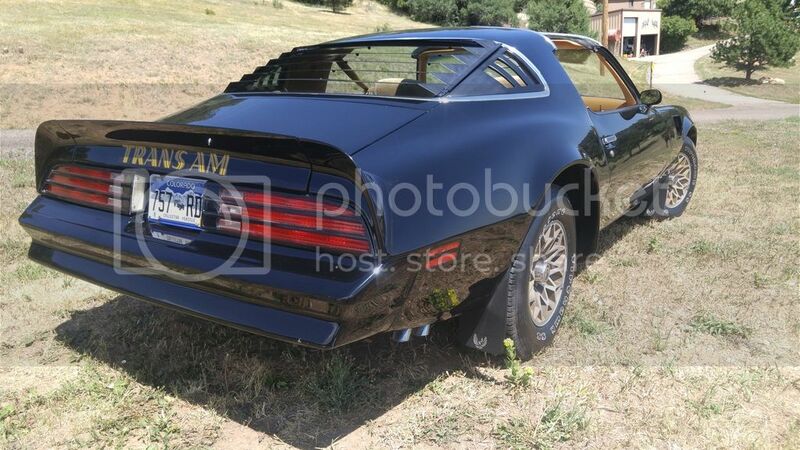 I am new to the posting thing here, but have used this site to find out more info on my friends 1978 TransAm. Some great info here helped us find the original build sheet behind the seat! That was a cool find for sure. 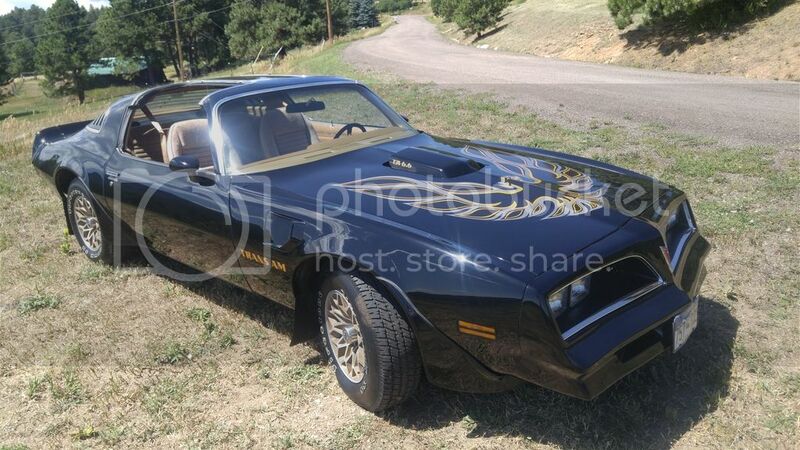 So as most of the posts go here I/ we are curious on the value of his car. He has had it for 10 years and always been under cover in a garage. 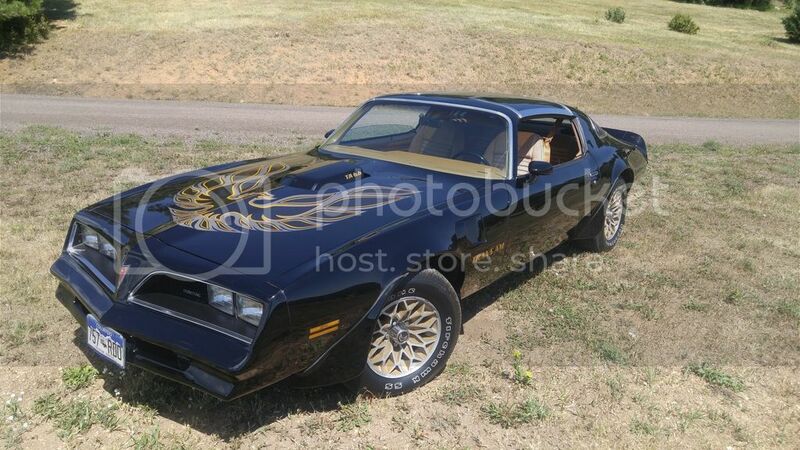 The car is a 1978 Trans Am with the 400 ci 6.6l engine. W72 Hurst performance package, 4 spd, P.W. P.L. 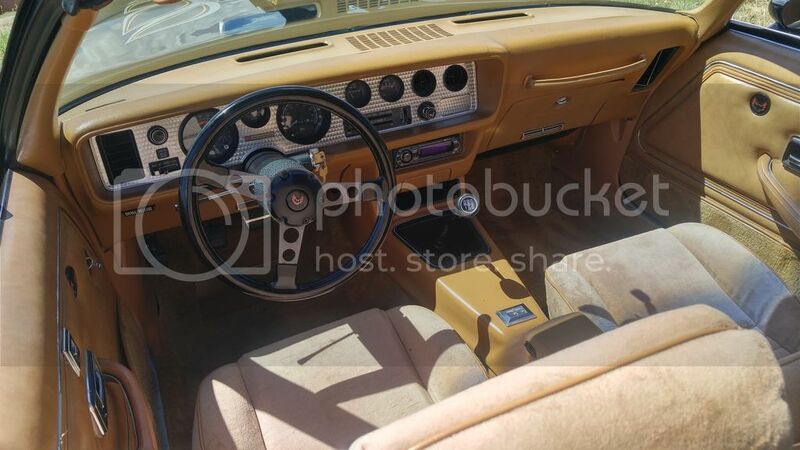 factory A/C, Numbers Matching, Original interior and believe the paint is original as well. The only non stock things (that we know of) are the stereo which someone sadly cut the dash to get the head unit to fit, and the rear shocks have been replaced with air shocks. Hurst T-Tops with bags in great shape. Paint is pretty darn good for the age with a few minor dents and dings around the lower parts. Mechanically the car is in pretty good shape. A few small leaks here and there, Light rust on some of the undercarriage, runs and drives good. Any and all feedback is welcomed. Thanks in advance! That number sounds pretty good. Thanks Squirrel for the response. Original shocks on a 38 yr old car is a sign of neglect from lack of servicing so that's not a problem, although air shocks are also rubbish and usually installed to counter worn springs if not jacked up. Add a photo of the front pillars where they meet the dash to show it hasn't been apart, those filler pieces crumble when removed. As soon as Photobucket comes back online I will post a pic or two of the pillar where it meets the dash. From what it looks like to me it is still intact. Not the best pic but here ya go. Haha thanks. As a whole most won't take any interest in the pic or understand it. But others will know what it means as far as the car not being pulled apart and reassembled over the years. That filler always crumbles and rarely exists, doesn't even feature in parts manuals. No problem. I would never have thought of that myself but glad to learn a few things along the way. The little things add up to find out what really happened to the car.